When it comes to decorating, the bedroom is one of the most important ones in the house. You’ll spend the beginning and end of every day in there and if you don’t like it, every single day will start badly and you won’t get a good night’s sleep. It only takes one tiny mistake to mess the whole thing up, even if everything else is just right. When the time comes to redecorate your bedroom, avoid these mistakes at all costs. A rug is a great decor tool that you can use to change up a room and make it feel more homely. They’re particularly good in rooms with wooden flooring which can be a little uninviting in winter. Putting a rug down can give you some of the benefits of a carpet without losing the great aesthetic of a nice wooden floor, but it can go wrong if you choose badly. The size is the easiest thing to get wrong. If you go too big, it’ll just look like you’ve attempted to cover the entire floor and failed. The balance will be all wrong and it’ll look odd. The same goes for a rug that’s too small, it’ll just end up looking like you’ve taken a mat from the bathroom and stuck it in a corner. You need to find a rug that covers around a third to half of the floor space and place it fairly centrally. When it comes to color, pick something that goes with the rest of the furnishings and bed linens. 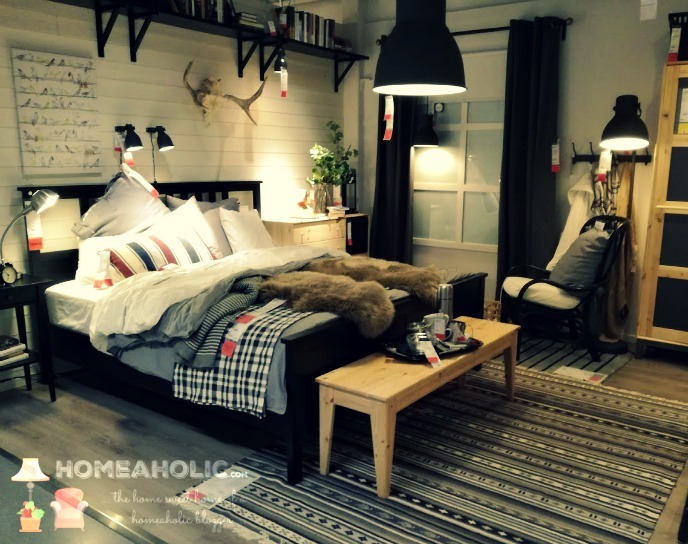 If you’ve got a slate grey theme running through the room, throwing a bright red rug in the mix is going to completely dismantle that coherent color scheme and make it look like you didn’t put any thought into the room at all. The bed is obviously the most important part of the bedroom and if you get it wrong, it doesn’t matter what you do with the rest of the room. Getting the mattress right is step one, otherwise, you’ll have constant back pain and you’ll never sleep properly. You’d be forgiven for thinking that they’re all pretty similar, but they aren’t. There are so many different types and the price ranges massively. Sites like ChooseMattress can help you navigate all of the different terms and what they mean. In general, steer clear of the very cheapest ones because they aren’t going to be good. Having said that, you don’t need to bother with the super expensive ones because a mid range mattress will give you everything you need. Once you’ve got a good mattress you need to choose a bed frame for it. This is the most important decision that you’ll make when it comes to decorating your bedroom because it forms the focal point of the room. All other decisions about the style of decor that you go for will be informed by the bed frame. So, if you want to go for a rustic look, go for a simple wooden headboard. Alternatively, if you want a modern look, go for something sleek and metal. Mixing the two styles will look awkward. You’re always going to want some kind of decoration on the walls but unframed posters scream teenagers bedroom. It’s amazing how putting a frame on it can change it so much. An old poster of your favorite band without a frame says, clinging on to the past. The very same poster with a frame around it says, cool retro look. Anything that goes up on the walls should have some kind of a frame around it, they’re cheap to buy and they make the whole room look a little more sophisticated. You can spend ages making every single inch of your bedroom look great. Perfecting every tiny detail until they all come together into an elegant and clean looking bedroom. But that will all be undone in an instant when you see that mess of power cords and wires poking out from behind the bedside table. It’s difficult to avoid them completely because you need all of that stuff but you should try to hide them as far as possible. Put away anything that you don’t use on a regular basis to cut down as much as possible. Then use plants and other decoration to hide them behind or if you can’t avoid having them on show change the cords into something that looks a little better. Making even one of these simple mistakes will turn your carefully crafted bedroom decor into a disaster.